Is Computer Networking in Demand Right Now? One of the biggest draws to a career is whether it’s something that is in demand. Many of the computer technology fields are experiencing a great deal of growth with employers trying to fill positions. Cyber and network security is a technology niche that’s getting more attention. It’s a field that is in demand right now, and prospective students are starting to see the allure of this career path. Computer networking is connecting computers, such as in an office. Computer network experts create wide area networks, local area networks, and Intranets. Computer networks can be relatively small, such as terminals connected together with a card catalog in a small library, to larger cloud networks that provide service for several clients. These computer networks are used by businesses both large and small to help their employees remain on task. How Does It Relate to Cybersecurity? Allowing computers to form into a network creates weak spots where data security is no longer intact without adding in security measures. You would never consider leaving your Wi-Fi signal at your house unlocked because of the ease of your neighbors being able to use your internet or worry over someone being able to hack your personal devices. The same is true for a network at a business. A computer network engineer has the task of ensuring that cybersecurity is in place to protect the network they build. Why Is It Important That Networks Remain Secure? It’s become somewhat commonplace to hear on the news about the latest data breach at a big company or getting a letter from a business you use that your personal data may have been leaked to an unauthorized third-party. For many, these events have become so common, and they don’t think about it because there isn’t much that they can do about as they have to give out their information. A secure network is where security starts for a business. A secure system actively seeks to keep out individuals that are looking to hack their way to a company’s data. Most companies are tackling this issue head-on by bringing in computer security professionals that can protect their network. That is where a computer network engineer comes into play. How Can Someone Start out in This Field with a College Degree? A college degree is vital to this career field, and starting out in this field after you’ve earned your college degree requires you to locate employers in your area looking for computer networking engineers. Your degree will help in opening doors as many employers have set educational requirements for their openings. Additional ways to work on jump-starting your career after graduation include finding internships and volunteering for non-profits. These offer opportunities for you to bulk up your experience for your resume to attract employers. Often, you can look for these types of opportunities before you graduate to start getting experience early as well as get a chance to network with others that can help further your career. Why Is Education Important to This Career? The complex nature of a career in computer networking is one of the key reasons why the majority of employers require their computer networking experts to obtain higher education. It’s highly technical, and any problems in the way that the network is setup could have a cascading negative impact on the company. Obtaining a bachelor’s degree could give you the opportunity to learn from experienced professionals on how to avoid mistakes that someone self-taught could make. Are you interested in cyber and network security? 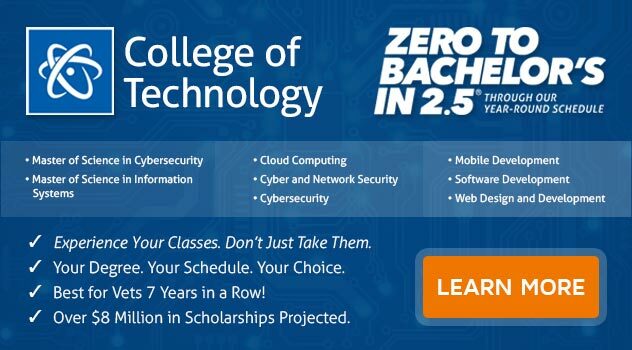 If you want to earn a Bachelor of Science Degree in Computer and Information Science with a Major in Cyber and Network Security, ECPI University offers this program at an accelerate pace. For more information on this exciting opportunity, connect with a friendly ECPI University admissions professional.